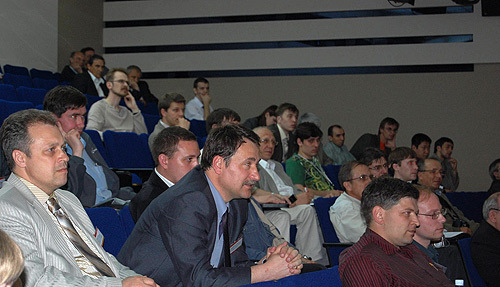 On 7th June 2008, LEDAS Ltd., an independent provider of software components and services on the market of product lifecycle management (PLM), announced that the Third International Forum isicad-2008 “PLM+ERP: Informational Environment of a Modern Enterprise” was held successfully in Novosibirsk Academgorodok on 4-6 June 2008. 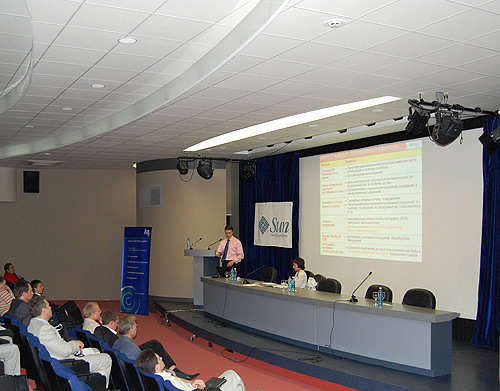 The isicad Forum was organized by LEDAS, with support of SibCongress and Sib3. 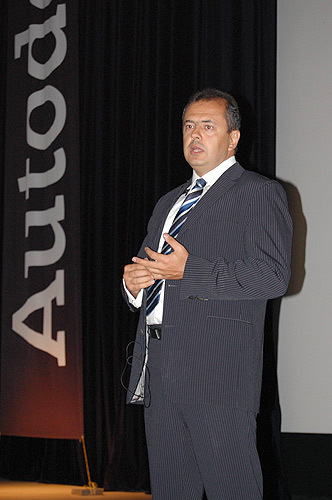 The general sponsor - Autodesk. Information sponsorship was provided by the “PCWeek/RE” newspaper, the “CAD/CAM/CAE Observer” and “CAD and Graphics” informational and analytical magazines, the Open Systems Publishing House, TenLinks.com, CNews, and ERP News Internet-publications, as well as the Novosibirsk Club of IT-Directors. 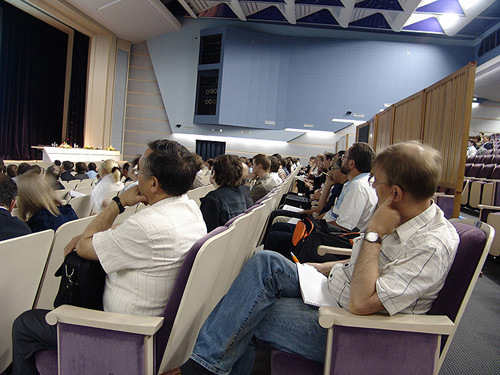 For three days the third isicad Forum, following the first two venues (in 2004 and 2006), got together in the House of Scientists, the Siberian Branch the Russian Academy of Science, many industry representatives, interested in implementing PLM (Product Lifecycle Management) and ERP (Enterprise Resource Planning) technologies — the two key business-strategies for computer-integrated manufacturing, enabling to shorten the product lead time, decrease production costs and boost innovations. 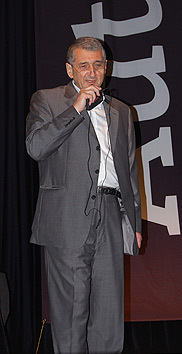 David Levin, CEO and founder of LEDAS, opened the Forum. Our Forum provided opportunities for various diverse events – plenary reports, thematic sessions, round tables with representatives of the leading vendors, an exhibition displaying commercial solutions, official negotiations and informal communication of the participants in the Forum couloirs as well as during the social programme organized every evening. 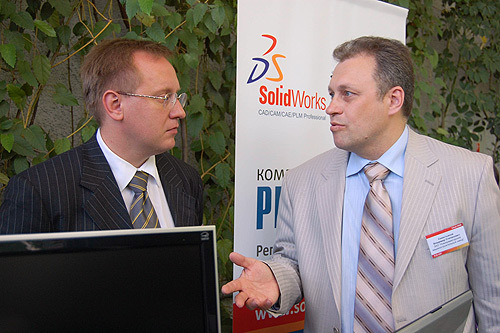 It enabled achieving the main objective of isicad-2008 – to open the market of advanced informational solutions to the rapidly developing Russian industries as well as to assist in establishing business contacts between enterprises and the leading providers of computer-aided design and manufacturing tools. The participants listened to the presentations given by representatives of the leading companies – Autodesk, Oracle, Siemens, Dassault Systemes, PTC, ASCON, Top Systems, etc. 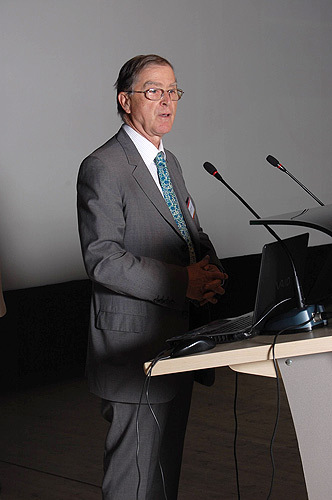 The venue was opened with an invited lecture “PLM: solutions to manage innovations for manufacturing” by Francis Bernard, the founder of Dassault Systemes, who has now become an independent expert. Alexander Tasev, head of the Moscow Autodesk office, presented the strategy of the company and its implementation in Russia and CIS. The “Infrastructure for PLM and ERP” section, addressed to the executives and experts of IT-units, included reports by the leaders in system integration — Sun Microsystems, Jet Infosystems and EMC. The “CAD/ PLM Training” section was aimed at the lecturers of Novosibirsk technical universities, who were given an opportunity to listen to the leading vendors presenting their academic programmes for co-operation with educational institutions. 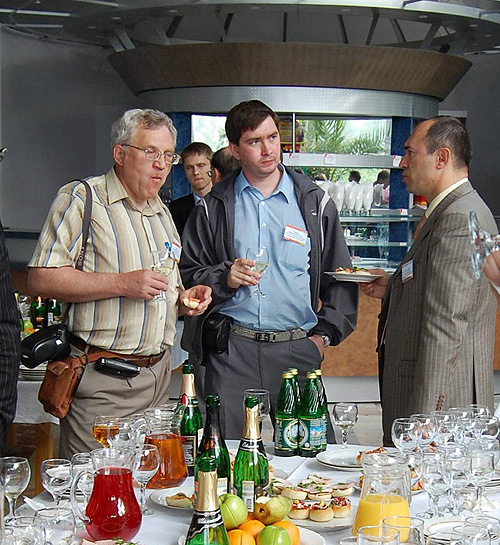 Reports by the lecturers, who shared their vision of the problems and prospects for training engineers for Siberian industries with vendors and with each other, also caused significant interest. The “PLM and ERP Projects: Implementation Experience” section included reports on implementing various solutions at the enterprises that gained advance positions in computer-integration and innovations. Seminars organized by Autodesk, Dassault Systemes and SolidWorks gave the participants detailed information regarding their solutions portfolios. The Round Tables on “PLM Technologies of Tomorrow” and “Vendors – Customers - Press” attracted a wide range of participants and raised considerable interest. Overall, the Forum programme comprised more than 50 reports and presentations. Representatives of Microsoft, SolidWorks, Oracle, Sun Microsystems, Autodesk, Dassault Systemes, PTC, ASCON, Top Systems and LEDAS took part in the isicad-2008 Round Table and answered a lot of questions from clients and mass media. Along with the plenary sessions and section, during all three days of the Forum, the House of Scientists became the site for the isicad-expo technical exhibition. All leading vendors - Autodesk, Oracle, Sun, SolidWorks, ASCON, Top Systems, Pro|TECHNOLOGIES, CSoft and others – had their stands at the exhibition. Participants were offered a unique opportunity to obtain professional consultation regarding the products of their interest and discuss supply and implementation terms and conditions. 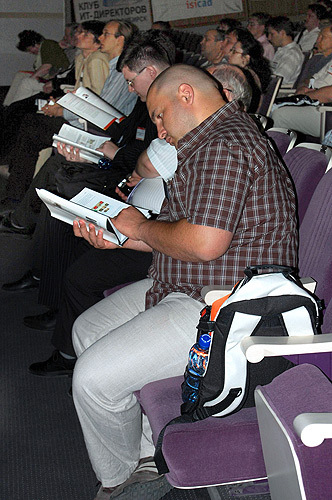 Presentation of the PLM Encyclopedia (www.plmpedia.org) became an important part of the Forum. The first Russian thematic publication in this field was prepared by LEDAS with participation CIMdata and solution providers. The book has a hard master cover and more than a hundred coloured illustrations. The content includes an in-depth introduction to the subject, written by Kenneth Amann, the Research Director of CIMdata, the chapter “From the first hand”, where products and services are presented by the companies themselves (from Autodesk to SolidWorks), a PLM and ERP Glossary defining over 300 technical terms and concepts, a detailed list of vendors and products, as well as information regarding the specialized mass media. 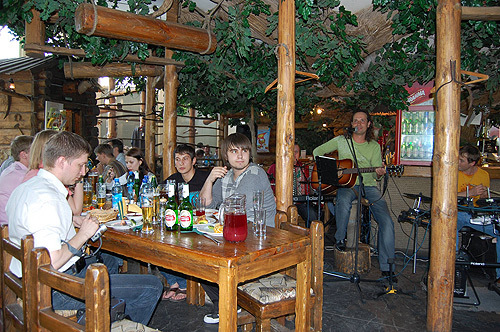 Participants enjoyed a varied social programme: buffet meals to facilitate informal communication after the sessions, a trip around the Novosibirsk artificial lake on the Remix boat, a dinner at the “Once Upon a Time” theme restaurant with live music and a picnic at the beautiful Bylina resort. 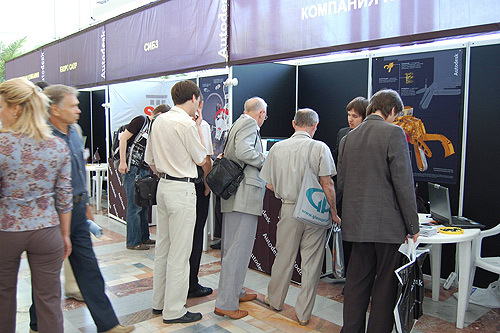 isicad was attended by more than 350 people representing around 200 various companies and organizations, including software and hardware developers in CAD, PLM and ERP, system integrators, analytical experts and consultants, researchers, representatives of educational institutions and specialized media, and, certainly, the main users – representatives of Russian manufacturers who were the majority of Forum participants. 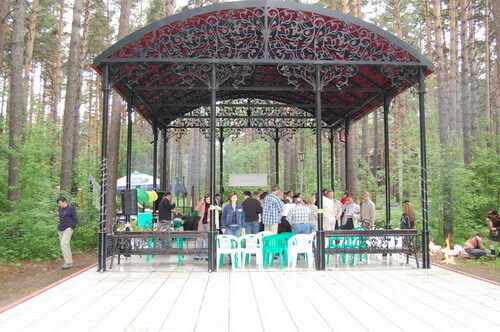 Geography of the participants also was very impressive – 30 cities in Russia, CIS and other countries. The organizers published a catalogue with full information about the venue; all participants were given a nice package of informational materials and souvenirs. In the near future presentations and photographs, describing the outcome of the work at the Forum, will be published at the official web site – www.isicad.ru/2008. All participants will receive a compact disk with complete set of presentations. The work of the isicad informational community, organized by LEDAS to follow-up the success of the 2004 Forum, will not stop after the third forum is over. 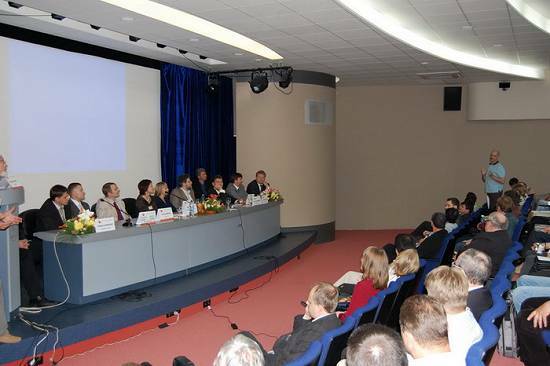 The isicad.ru informational portal will continue reporting on the most important events in the world of PLM and ERP, and will be expanded with up-to-date reference materials, while participants of isicad-2008 will continue their discussions on the e-forum - http://forum.isicad.net/.